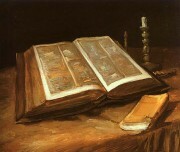 (Psalm 119:130-135) The entrance of thy words giveth light; it giveth understanding unto the simple. I opened my mouth, and panted: for I longed for thy commandments. Look thou upon me, and be merciful unto me, as thou usest to do unto those that love thy name. Order my steps in thy word: and let not any iniquity have dominion over me. Deliver me from the oppression of man: so will I keep thy precepts. Make thy face to shine upon thy servant; and teach me thy statutes. (1 Corinthians 13:12, 13) For now we see through a glass, darkly; but then face to face: now I know in part; but then shall I know even as also I am known. And now abideth faith, hope, charity, these three; but the greatest of these [is] charity. (Colossians 3:12-15) Put on therefore, as the elect of God, holy and beloved, bowels of mercies, kindness, humbleness of mind, meekness, longsuffering; Forbearing one another, and forgiving one another, if any man have a quarrel against any: even as Christ forgave you, so also [do] ye. And above all these things [put on] charity, which is the bond of perfectness. And let the peace of God rule in your hearts, to the which also ye are called in one body; and be ye thankful. (James 1:19-27) Wherefore, my beloved brethren, let every man be swift to hear, slow to speak, slow to wrath: For the wrath of man worketh not the righteousness of God. Wherefore lay apart all filthiness and superfluity of naughtiness, and receive with meekness the engrafted word, which is able to save your souls. But be ye doers of the word, and not hearers only, deceiving your own selves. For if any be a hearer of the word, and not a doer, he is like unto a man beholding his natural face in a glass: For he beholdeth himself, and goeth his way, and straightway forgetteth what manner of man he was. But whoso looketh into the perfect law of liberty, and continueth [therein], he being not a forgetful hearer, but a doer of the work, this man shall be blessed in his deed. If any man among you seem to be religious, and bridleth not his tongue, but deceiveth his own heart, this man’s religion [is] vain. Pure religion and undefiled before God and the Father is this, To visit the fatherless and widows in their affliction, [and] to keep himself unspotted from the world. (1 John 2:15-17) Love not the world, neither the things [that are] in the world. If any man love the world, the love of the Father is not in him. For all that [is] in the world, the lust of the flesh, and the lust of the eyes, and the pride of life, is not of the Father, but is of the world. And the world passeth away, and the lust thereof: but he that doeth the will of God abideth for ever.